When did life become so complicated? Seems like were all working harder and accomplishing less. The only thing we seem to have more of is STRESS! Living with stress not only takes a toll on your mental health, but it can wear you out physically as well. With the help of Dr. Gregory Jantz, and by following his biblically sound advice, you can learn to recognize the signs of stress and take these Six Steps to Reduce Stress. Instead of living a stressfull life, learn to live one in which you stress less. It starts with worry about everything that could go wrong. Being cautiousand extra alert to danger. Avoiding risks, controlling everything you can.But the burden wont ease. Soon you find yourself feeling imprisoned byworries spiraling out of control. If this sounds uncomfortably familiar, anxiety just might have control of your life. Retake control with these Seven Answers for Anxiety. Using real-life stories and Biblically sound suggestions, Dr. Gregory Jantz will help you learn to keep anxiety in check. 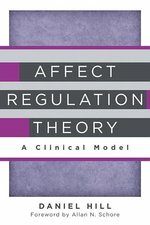 With clarity and practicality, Hill decodes the massive body of contemporary research on affect regulation, offering a comprehensible and ready-to-implement model for conducting affect regulation therapy. The book is organized around the four domains of a clinical model: (1) a theory of bodymind; (2) a theory of optimal development of affect regulation in secure attachment relationships; (3) a theory of pathogenesis, in which disordered affect regulation originates in relational trauma and insecure attachment relationships; and (4) a theory of therapeutic actions targeted to repair the affect regulating systems. 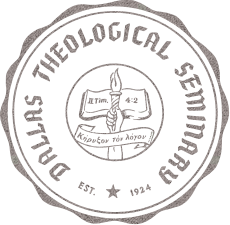 The key themes of Hill's affect-focused approach include: how and why different patterns of affect regulation develop; how regulatory patterns are transmitted from caretakers to the infants; what adaptive and maladaptive regulatory patterns look like neurobiologically, psychologically, and relationally; how deficits in affect regulation manifest as psychiatric symptoms and personality disorders; and ultimately, the means by which regulatory deficits can be repaired. Specific chapters explore such subjects as self states, mentalization, classical and modern attachment theory, relational trauma (and its manifestations in chronic dissociation, personality disorders, and pervasive dissociated shame), supporting self-development in therapy, patient-therapist attunement, implicit and explicit therapeutic actions, and many more.